If you are adapting an existing open textbook or creating a new one, you may want to find additional resources to use. Ideally, content licensed with a CC-BY license provides the most flexibility for reuse, so we recommend trying to find content for reuse with that specific CC-BY licenses. If you are planning to make adaptations to the resource, you will want to avoid any CC material that has the -ND (No Derivative) attribution as this content can be reused, but not adapted. 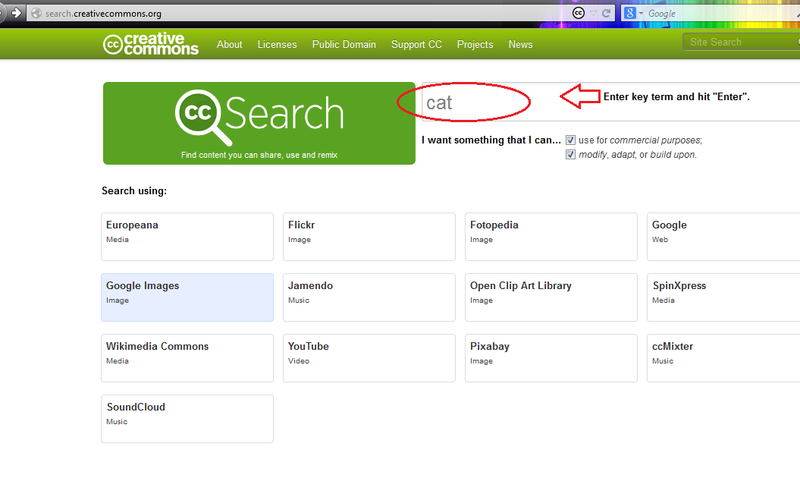 Creative Commons’ Content Directories: a list of organizations and projects powered with Creative Commons (CC) licenses. Search in The Commons on Flickr launched January 16 2008 in partnership with The Library of Congress. Participants are cultural heritage institutions who share publicly held photography collections. There are “no none copyright restrictions” on the photographs in this collection. See their Rights Statement for more information. Alternatively, you can search for a video on YouTube and include “CC-BY” in the search field. Youtube videos can be licensed with either a “Standard YouTube License” (covered in their Terms of Service) or a Creative Commons license. Use videos with a CC license. Also see YouTube’s article on how to add a CC license to a video. Select website you want to search. It will highlight in blue when selected. Only one site can be chosen at a time. Foodies Feed (free food photos). Photos are licensed under CC License Zero. Gratisography (photos). Photos are licensed under CC License Zero. Finding Openly Licensed Content by BCcampus is licensed under a Creative Commons Attribution 4.0 International License, except where otherwise noted.